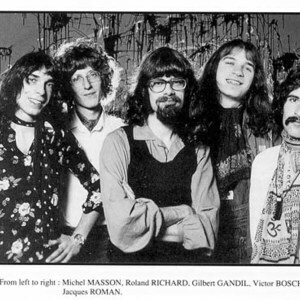 The legendary French space rock/symphonic prog group. On their d?but "Pollen" the media had promoted them as the French Pink Floyd, though they were a lot more original than that would suggest, with much use of flute and electronics. They had a uniquely French sound. Pulsar's third album, issued in 1977, "Halloween" (a conceptual "horror-rock" symphonic opus) is generally considered as one of the ten best symphonic albums in the world. A masterpiece of refinement. Definitely indispensable for all progressive rock fans! "The Strands of the Future" contained beautiful, spacey, symphonic progressive music along the lines of Pink Floyd, Genesis, the early Eloy albums. This album features some of their finest work, particularly the 26-minute mostly instrumental title-track. The atmosphere is enhanced by fantastic passages for mellotron. Probably as good or even better than ?Halloween?! An excellent album!